Going to Arashiyama? Remember to check Sharing Kyoto before your trip as we have a list of the best events for the area of Arashiyama! Arashiyama is an area of Kyoto almost every traveler visits when they come to the ancient capital. In fact, I think many people think of the Bamboo Grove of Arashiyama when they hear the word Kyoto. So ingrained is the image of those bamboos in our minds. But a lot also happens in Arashiyama during the year, so why not take a look and maybe consider planning your trip to Kyoto around one of these events. Arashiyama Hanatoro in December is one of the two Hanatoro events that take place in Kyoto, the other one being Higashiyama Hanatoro. This event is one of the most exciting in Kyoto, as most of the major sightseeing spots of Arashiyama are illuminated by lanterns at night. Even some places like the Okochi Sanso Villa that normally close a bit early, are open until late at night, so this is a rare chance to enjoy the night in Arashiyama. Remember to take your tripod with you! This event held in Kurumazaki Shrine is a chance to see what kind of a boat parade they used to have for the emperor in this part of Japan. A woman is chosen to be the author of The Pillow Book, Sei Shonagon, and she ten sits on a colorfully decorated boat and goes down the river. 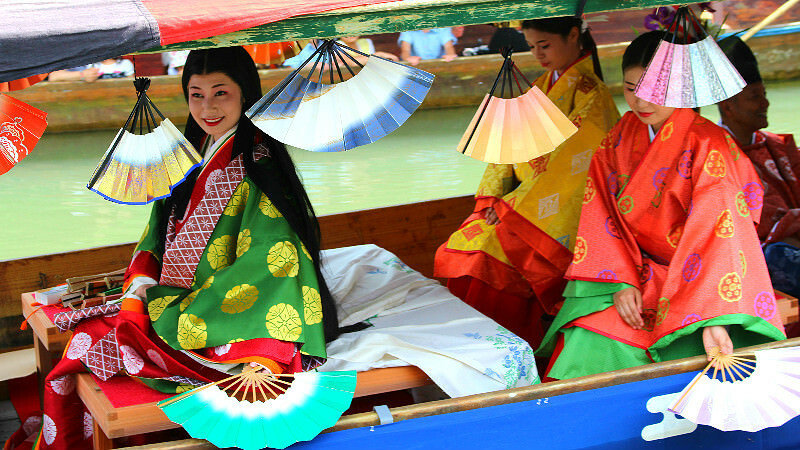 There are around 20 boats, and besides Sei Shonagon there are also musicians and dancers on the boats. The river is held every year on the third Sunday of May, so if you happen to be in Japan during that time we hope you will take some time to see this colorful event. Cormorant fishing is an old way of fishing where cormorant birds are used to catch the fish. This ancient way of fishing is no more used as a way of livelihood, but it’s mainly an event and a sight for people to experience. Some people even say fish caught by the birds taste fresher. 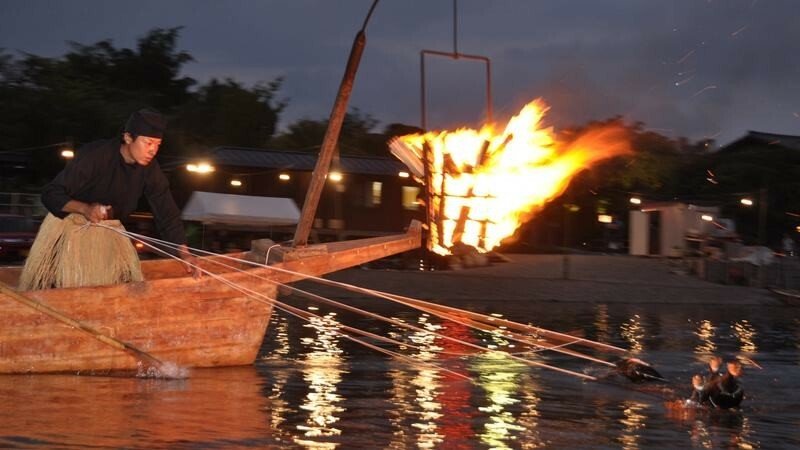 This event takes place in Arashiyama from July to September, and it’s a sight, especially with the huge fire hanging from the front of the boat which lights the scene for the people on the boat, the birds, and for us onlookers too. 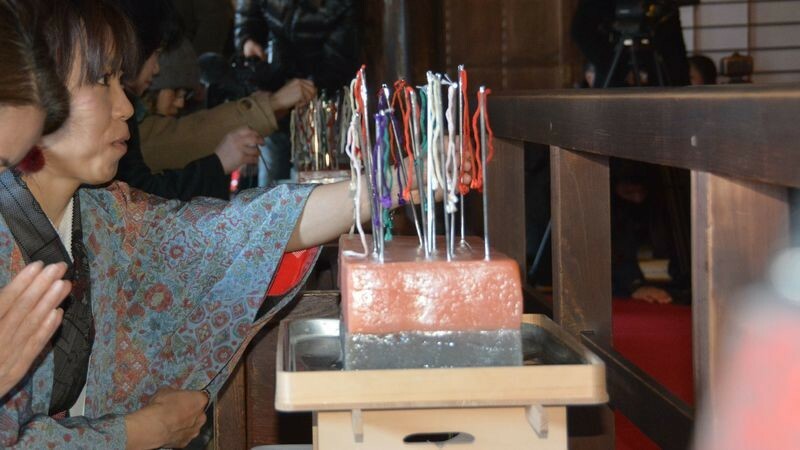 Hari Kuyo is a ritual held in Japan as a memorial service for old needles. In this festival old needles are stuck into tofu or jelly and then prayed for. It is believed that the worries of the women weaving pass on into the needles, and by putting these needles in the jelly the women are then freed of these worries. Horin-ji’s ritual is special because at Horin-ji they also hold a memorial for the needles used by the imperial family. You can also watch the Buddhist sermon where they read a sutra for the needles, and there is also a dance by four women dressed in Nara period clothing. 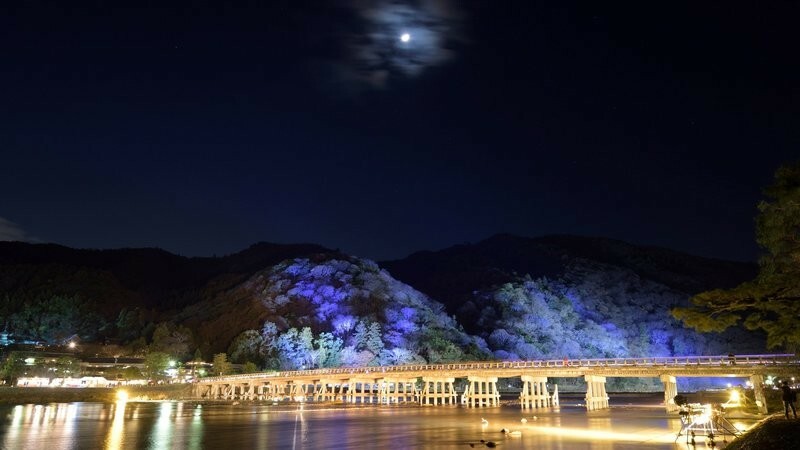 Arashiyama is a great place to go all through the year, but my favorite event in Arashiyama is the Hanatoro one, I just find that Arashiyama is even more interesting at night. Though to really get Arashiyama, of course, you need to first go when there it’s still bright outside. So how about a combination of Mifune Festival with Arashiyama Hanatoro? Though to see both you need to come to Kyoto twice!